For the second year in a row, STS Component Solutions (STSCS), a division of STS Aviation Group (STSAG), heads back to Las Vegas as an exhibitor during the 2015 Power-Gen International conference. Power-Gen International, a Power Generation Week event, takes place December 8-10th at the Las Vegas Convention Center. Team members from STSCS’ ground power and engine acquisition division are excited to return to the world’s largest power generation event focusing on the latest industry innovations, technical trends and business strategies. STSCS will be grounded at Booth 6839 to discuss its portfolio of extensive technical resources, offering innovative and in-depth search methods to support your company’s needs and the numerous OEM partnerships in place supporting LM (land & marine) gas turbines and frames product lines. At the conference you can expect more than 200 industry experts presenting new and exciting solutions in over 40 conference sessions, a variety of networking events such as a golf tournament at Desert Pines Golf Club, an annual awards gala, and informative technical tours. Exhibiting at Power-Gen for a second time helps STSCS become better recognized as one of the fastest growing engine component suppliers within this highly competitive industry. The event also provides the opportunity to showcase STS’ newest division, STS Air-Pro, globally recognized as a frontrunner in the manufacturing and distribution of flexible, rigid and flex-rigid hose assemblies with aircraft, turbine engine and space applications. This year’s conference is expected to break attendance records and bring together over 22,000 power professionals with purchasing influence. There will also be attendees from more than 90 countries, and over 1,400 exhibiting companies. There is simply no other place to be where you can witness the industry’s top companies’ newest products launches and unveilings; on top of gaining premier access to the key players of power generation! Team members Armando Barroso, Mario Menendez, Ernesto Pastor and Frank Hechavarria will all be available to meet on site at the conference. 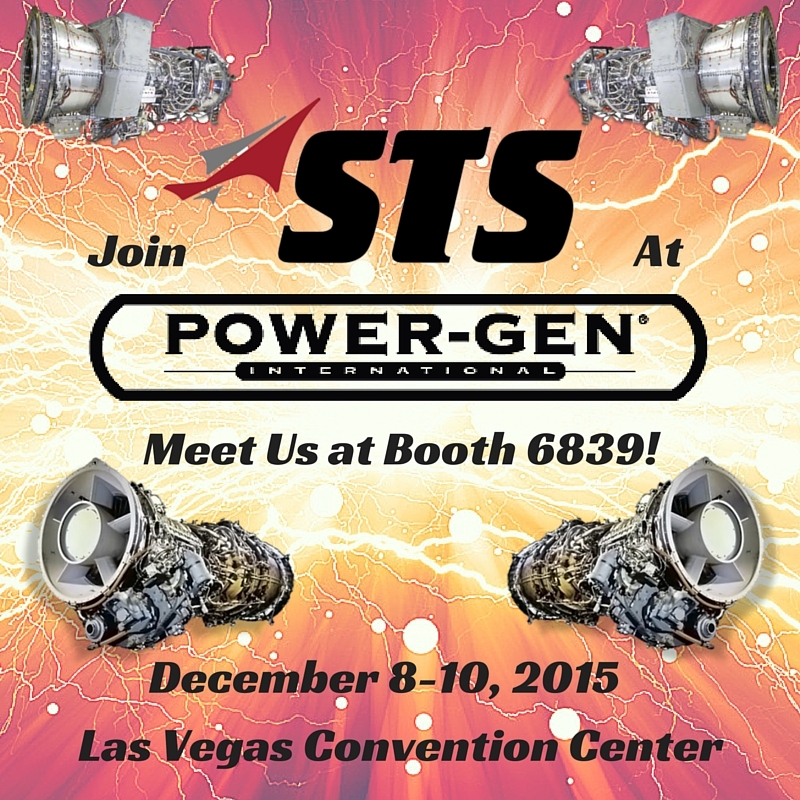 We hope you fly by Booth 6839 and see what makes STSCS the company with your power generating solutions!